At the base of Killington Mountain, this resort lodge offers hot breakfast from Thanksgiving through the end of the winter ski season. All other times, a continental breakfast is included. It is a 650 metres walk to the ski lift. Make your next ski vacation a true mountain experience. 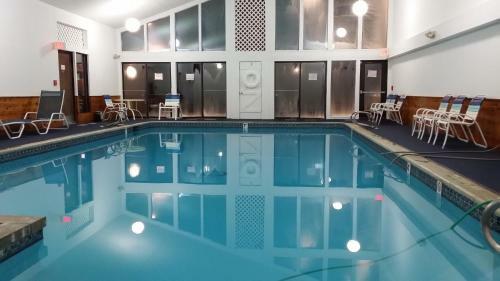 We are located at the base of Killington, walkable to the lifts, free slopeside shuttle, fireside lounge, spacious rooms, indoor swimming pool and hot tub, spectacular mountain views, and hot buffet breakfasts. Mr. Dave cleaning the snow off the patios.